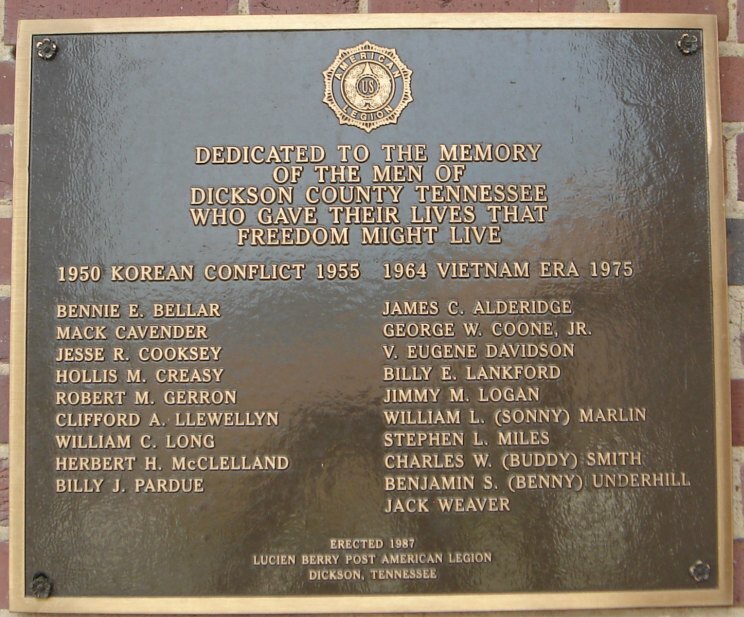 The Dickson County Korean War / Vietnam War Roll of Honor located on the War Memorial Building in Dickson, Tennessee lists the names of the Dickson County citizens who lost their lives in the Korean and Vietnam Wars. Close-up of the Roll of Honor. 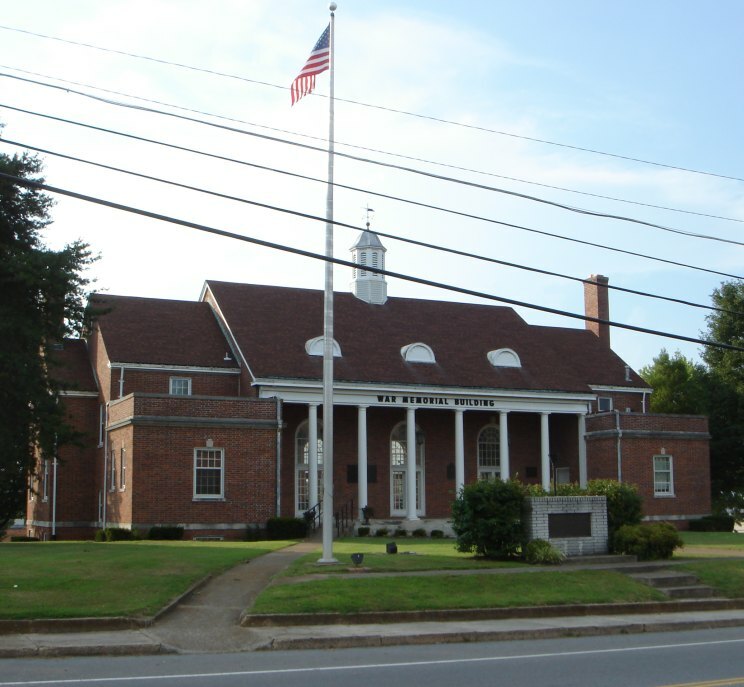 The War Memorial Building, Dickson, Tennessee was authorized by the Tennessee Legislature in 1929 and completed in 1933 at a cost of just over $32,000. It was built to honor the sons and daughters who served in World War 1 and other wars and provided a meeting place for American Legion Lucien Berry Post 115 and the public. The building is now owned by the city of Dickson. 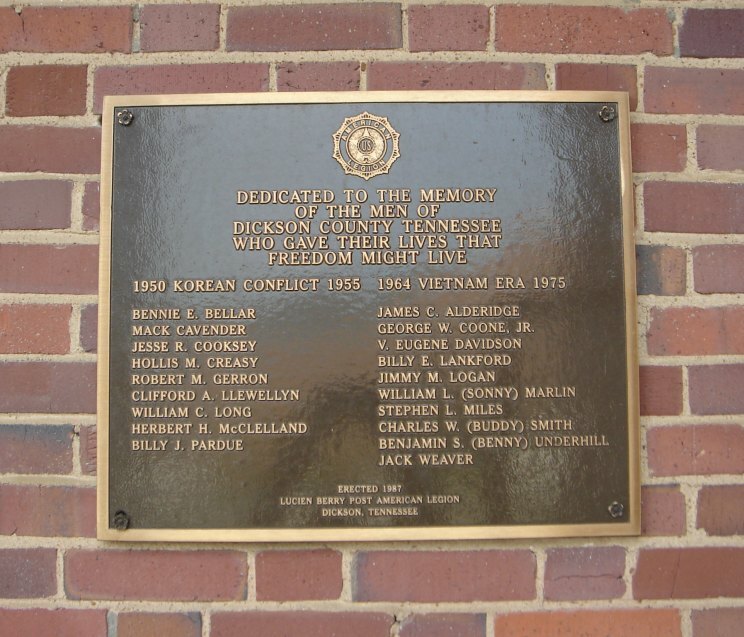 In the foreground the Freedom Light Memorial is seen and on the front wall of the building are plaques listing the names of the Dickson County citizens who lost their lives in armed conflicts. From left to right are the World War 2 Roll of Honor, World War 1 Roll of Honor, a building dedication plaque and the Korean & Vietnam Wars Roll of Honor. On the back side of the building is the Dickson County Veterans Memorial.